All Light Weight Deflectometers on construction sites operate under tough conditions – they withstand vibrations, rain, dust and extreme temperatures. Should there be any problem with your Light Weight Deflectometer TERRATEST 4000 USB or TERRATEST 5000 BLU after many years of use, the TERRATEST customer service team will take care of it. 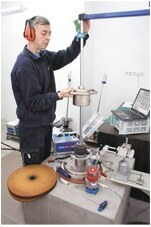 We will make sure that the repair of your Light Weight Deflectometer will be fast and reliable. 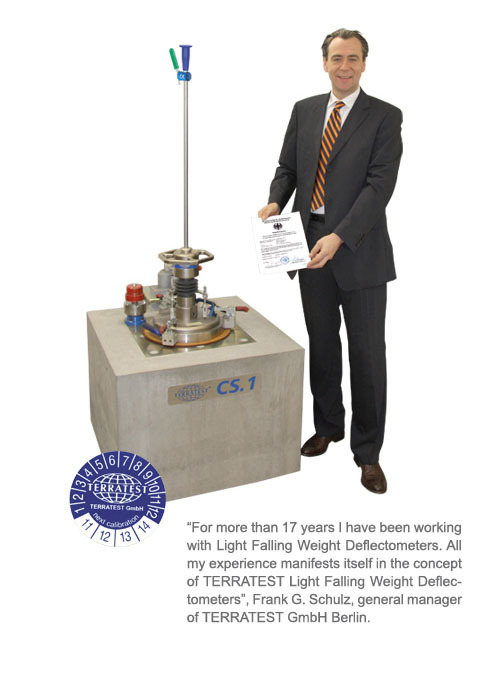 All Light Weight Deflectometers made by TERRATEST will be delivered with a calibration certificate according to ASTM E2835-11. TERRATEST’s calibration system is accredited by the German Federal Road Research Institute (Bundesanstalt für Straßenwesen).